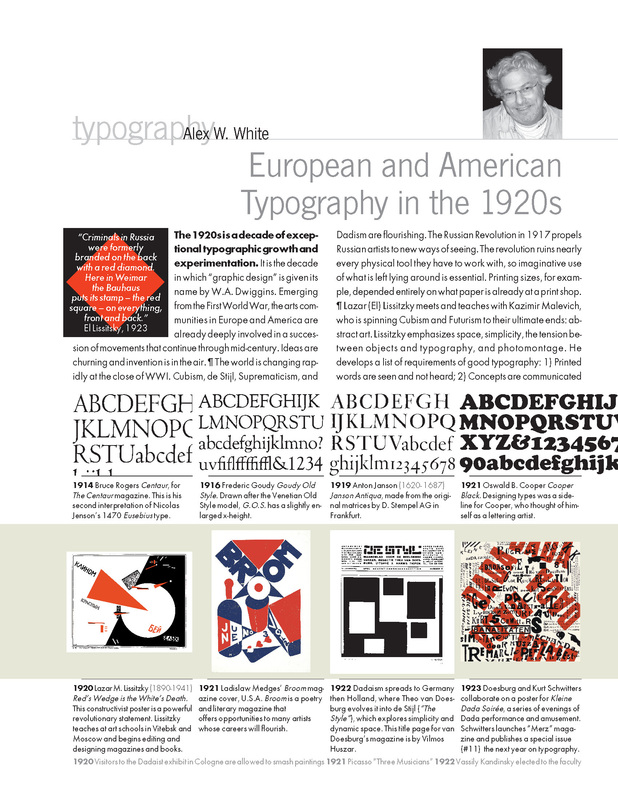 I have written more than thirty articles on design and typography that have appeared in industry-leading magazines like Communication Arts, Publish, Step-by-Step Graphics, Folio: The Magazine of Magazine Management, and WordPerfect, as well as online. 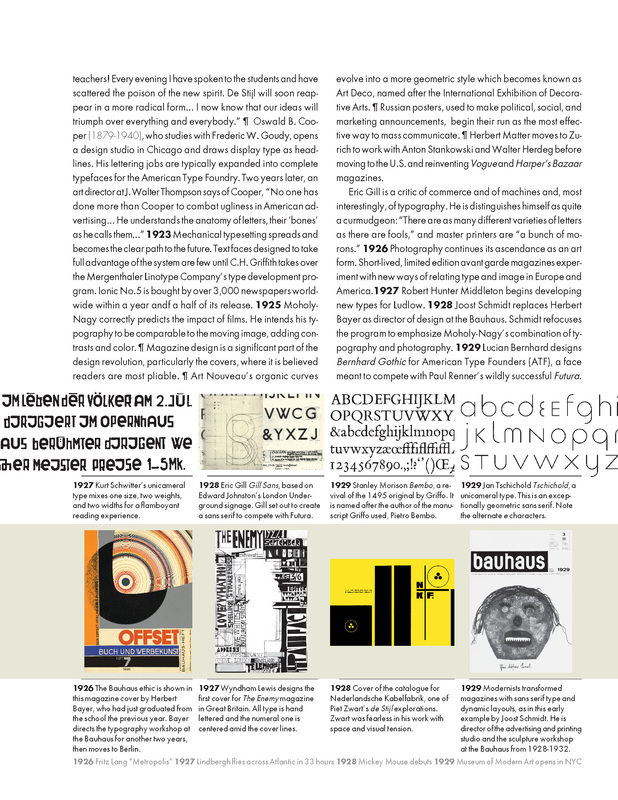 Indeed, one of the top hits Google provides for me is an article I wrote for graphic-design.com about the typeface Avant Garde, designed by Herb Lubalin as a a magazine logo or ‘flag,’ then expanded into a full character set. Despite my deep admiration for Herb’s œuvre, my distaste for AG may sadly go down in history as my biggest claim to fame. I certainly didn’t anticipate this one article’s stickiness. Some of the titles of my articles are Design with a Capital P; Bugs Bunny and Better Publication Design; Type in Use, a seven-part series that preceded my book of the same name; Avant Garde is Outré; Beyond Helvetica and Times; and The Music Is Not In The Violin. I have provided the first paragraph or two of the articles below. 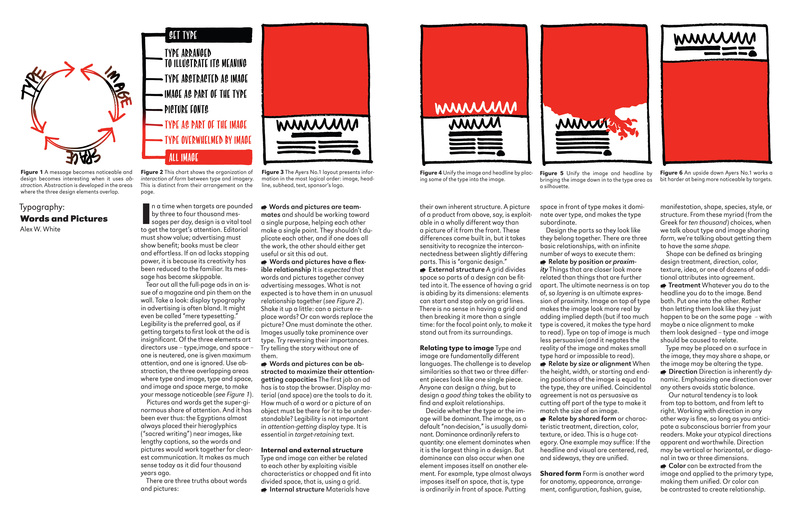 The links in the book reviews for TDC’s Letterspace will take you to the articles in their entirety. Digital Web, an online magazine, asked me to write an article on type and the Web. This is how the article came about: Hi Alex, This is Carolyn, editor-in-chief of Digital Web. I just wanted to add that I’m thrilled that you are interested in submitting an article via Jessica… I just recently bought one of your other books, since one of our staff members named it as one of the top books of the year, so I’m pretty excited to have that in my reading pile. It’s Jessica’s raves about your advertising and typography book that compelled us to track you down, after your publisher sent us a copy. Cheers, Carolyn /// Hi Alex, Thanks so much for getting back to me. Your new book is fabulous and got me thinking pretty intensely about the relationship between typography and the web. My editor, Carolyn Wood, agrees: we’d love to get your take on that. How can typography be used for internet advertising? How can advertising be optimized for the web? We’d love to hear your thoughts. Type Directors Club Letterspace – Video Review: “TDC library gets Frederic W. Goudy home movies” A videotape appeared in the TDC mail recently from Elizabeth S. Manion, the director of the Marlboro Free Library in Marlboro, New York. Ms Manion writes, “We were given several old movie reels of Goudy’s home and members of his family… I finally had the footage transferred to videotape and thought you might like a copy. You will see Goudy’s home “Deepdene” in Marlboro; Goudy’s wife, Bertha, and his son; a graduation where Goudy apparently spoke and received an honorary degree; and the waterfall which is part of the creek that ran through his property…” Goudy lived at Deepdene – named for the street he previously lived on in Forest Hills, Queens – in Marlboro-on-Hudson, from 1924 until his death in 1944. 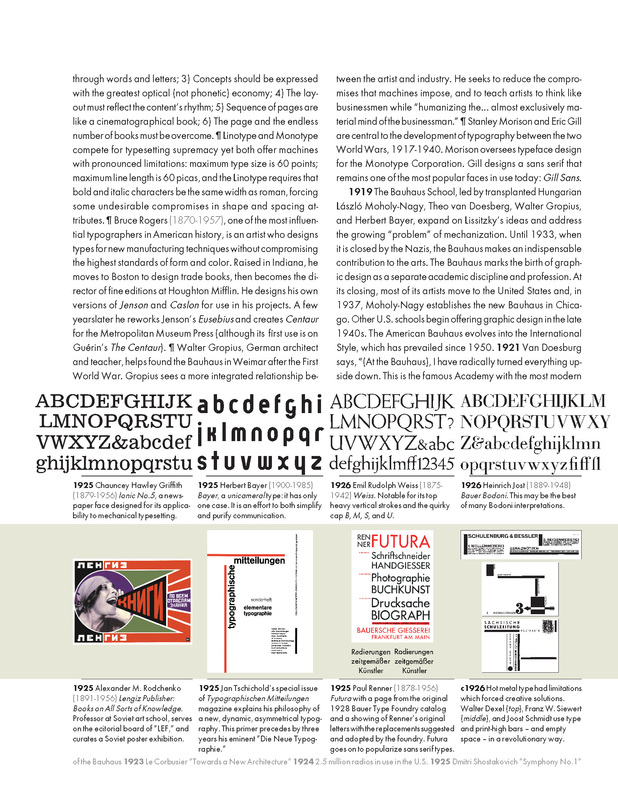 He designed 124 typefaces. His first original face was completed when he was 30, but Goudy didn’t consider himself a professional type designer until he was 46. This 15-minute video shows one of America’s great type designers with his family at the home he loved. The video may be viewed on the TDC Web site (it is sometimes available online and sometimes not) or at the TDC’s Library in New York City.